Did you know that a sustainable lifestyle is within your reach and you can make it yours as well? Please allow me to introduce you our latest project: Bio Caribe. Bio Caribe is a modern residential development project that integrates nature conservation and sustainability. On a 164 acre property located 10 minutes away from Punta Uva we’ve developed 51 fantastic lots all with stunning views on the Panamanian mountain range. We chose to develop this property because it’s unique location. While it is located in a secluded and very private area surrounded by nothing but nature, it is also minutes away from Punta Uva’s pristine beaches and the splendor of Puerto Viejo and Manzanillo beach towns. 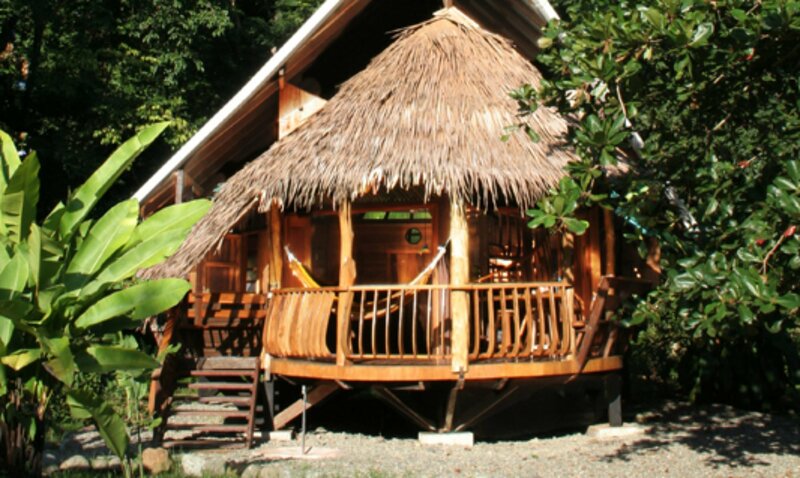 Imagine making the same concept you experienced at the Tree House Lodge of being in closer contact with nature part of your lifestyle or vacations. Our purpose is to create an organized and green community where the main goal for all is to live in a sustainable way with nature and the local communities. A large portion of the property (up to 80%) features protected forests and usage of partially alternative energy sources are a priority. In knowing that the world currently faces huge ecological damage though global warming and extreme pollution, Bio Caribe offers you an alternative lifestyle where as a community you can live in a sustainable way. Bio Caribe features all the benefits and amenities of a modern residential development such as recreational areas with swimming pool, tennis court and BBQ area where you and your family can share your time likeminded neighbours who share the same values and believes as you do. Lot sizes range from 3 to 7 acres and are already available starting at $30.000. We invite you to visit our website www.biocaribecostarica.com and experience the 360 degree views of our of lots as well as much more information about this wonderful project. If you think Bio Caribe reflects part of your values and desires please feel free to contact us, we would love to help you experience a new way of live at Bio Caribe. This invitation as well as special introductory prices are available only to customers of the Tree House Lodge. We invite you to be part of Bio Caribe.